Should TFSA Accounts Be Topped Up? It appears unlikely that investors who have already maximized their TFSA contribution room to $10,000 in 2015 will be asked to remove the extra $4500, should the new government make good on their pledge to repeal the $10,000 maximum contribution in favor of a $5500 annual amount. That’s why, it’s important to top up the TFSA contribution room as quickly as possible – simply because it makes sense from a wealth building point of view, but also you could lose it if you don’t use it. So what can the new Liberal government do as they roll back the $10,000, an enhancement to the contribution room that the last government passed into law last June? They could put a limit on total TFSA contribution room available in 2016 to $42,000 rather than the scheduled $51,000. This would have the effect of enabling a maximum combined $11,000 contribution for 2015-2016. Alternatively, they may simply leave the $10,000 contribution room intact for 2015 and implement the lower $5500 contribution maximum for 2016 going forward. They could also implement that $5500 limit together with a maximum cap to lifetime contributions to the plan. The TFSA is a must for people who want to build a tax-free income for their future. Younger people can benefit the most due to the long investment earnings horizon they have. 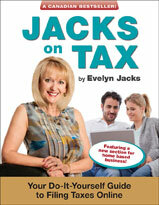 Socking the money away at the best possible returns to earn income, tax free, for their lifetime will make them rich. Even a $5500 investment made faithfully every year for 40 years – from the age of 18 to 58 in this example – can save millions of dollars in taxes, at the right rate of return. Aside from curtailing tax-free pension building by younger taxpayers, who must bear the burden of a declining population and the costs that go with that, the reduction in the maximum is particularly significant for seniors, who were using the TFSA as a tax-efficient savings vehicle after melting down RRSPs or RRIFs. The tax-exempt earnings in the TFSA are an important hedge against inflation at a time when interest earnings continue to be low. The April 21, 2015, federal budget pointed out that by the year 2019, seniors are expected to reap 60% of the tax benefits from increasing the TFSA maximum to $10,000, based on current savings patterns. The TFSA is, for them, a very effective way to preserve wealth in a longer retirement. Seniors have few other options to hedge their financial assets against the future rising costs of taxation, prescription drugs and health care services. Speaking to a Tax Services Specialist about year-end tax planning options is more important than ever this year. Author Evelyn JacksPosted on October 29, 2015 October 29, 2015 Categories Income TaxLeave a comment on Should TFSA Accounts Be Topped Up? Recover taxes owing from prior years. Tax refunds resulting from errors and omissions may be recovered for up to 10 years. So, if you’re a delinquent filer, now is the time to get caught up. Not only might you tap into refunds that could be waiting for you from previous years, but you can also avoid potential gross negligence or tax evasion penalties. If you have been dutifully filing your tax returns and simply have missed an important tax-saving provision in a previous year, be sure to adjust your tax returns by December 31, before the time runs out on the 2015 year. That’s especially important for building up your RRSP contribution room and recording those capital or non-capital loss carry-forwards. Don’t overpay your quarterly instalments. If you pay your income taxes in quarterly instalments, you may have an instalment remittance due on December 15 or, in the case of farmers, it is due December 31. If you haven’t yet paid, be sure to calculate your estimated income for the current tax year first. If your income is lower than in past years, you may be able to reduce that payment or not make it at all. Simply use the optional “current year” or “prior year” methods of calculating your instalments. This is a nice way to create new capital for investment purposes before year end or to finance that much-needed vacation! A TFSA is a must. Give your adult children a valuable Christmas gift: open a Tax-Free Savings Account and make sure you and/or they maximize the opportunity to put up to $10,000 in it this year. With a new government who has indicated the $10,000 limit will be notched back in the future, this is an important opportunity this year. The earnings that accumulate in the account are tax free and using this valuable savings room can build family millionaires. Most people unknowingly leave tax savings on the table. But a tax-wise investor becomes wealthier over the long run regardless of the economic cycle—or new government. Be tax-wise and maximize your potential to reduce your after-tax income before year end! Whether you are a student or working and paying for child care, those expenditures may be deductible and the maximum amount you can claim has increased this year. It’s a lucrative year end tip advisors will want to prime their clients about, to maximize child care expense claims on the 2015 tax return. For the purposes of claiming child care, an eligible child must be a child of the taxpayer, the taxpayer’s spouse or the taxpayer’s common-law partner or a child who was dependent on the taxpayer, the taxpayer’s spouse or common-law partner. The definition of child includes an adopted child or the spouse of a child of the taxpayer. Also, if the child is not a child of the taxpayer or their spouse or common-law partner, the child’s net income must be less than the Basic Personal Amount; that’s $11,327 this year. Child care must be for services provided in Canada (although special rules exist for deemed residents and US-Canada commuters) by: a day nursery school or day-care centre, a day camp or day sports school, a boarding school or camp (including a sports school where lodging is involved), or an educational institution for the purpose of providing child care services. You may also pay deductible child care to an individual who is not the child’s father or mother, a supporting person of the child, a person in respect of whom the taxpayer or a supporting person of the child has claimed a personal amount or a person who is under 18 years of age and related to the taxpayer. Baby-sitting costs, day-care costs, costs of a live-in nanny (which may include advertising, salary and benefits including the employer’s portion of CPP and EI) and lodging paid at boarding schools, day camps, overnight sports schools and overnight camps can all be claimed, but in the case of day and over-night camps you can’t claim more than $125 per week for each child age seven to 16, plus $200 per week per child under seven plus $275 per week for each disabled child. times the number of weeks of full-time attendance. Part-time students are limited to these amounts times the number of months of part-time attendance. And there is more good news: Some of your expenses may be eligible for both the Children’s Fitness Amount, which is refundable in 2015—so even very low earners can benefit—and the deduction for child care expenses. In that case, the expenses must first be claimed as child care expenses. Only the unused amount after claiming child care expenses may be claimed for the fitness credit amount. For more information, be sure to discuss this lucrative claim with your Tax Services Specialist. Reason 1 – Family Income Splitting: There is no attribution rule attached to the TFSA because resulting income is tax exempt. So this is a great opportunity for a higher earning spouse to transfer $10,000 to the lower earner each year for the rest of their lives to equalize savings pools. Recipients can take the money out, tax-free, for whatever purpose they wish and create new TFSA contribution room in the process. That is, they can take withdrawals and, once they have accumulated new savings, can put those amounts back in future years to grow. Reason 2 – Homebuyers: TFSA or HBP? In the market to buy a first home? Consider whether it makes more sense to withdraw funds on a tax-free basis from within an RRSP to fund a new home purchase under the Home Buyers’ Plan, or to save the required funds in a TFSA instead and withdraw them from there when needed. There are no tax penalties for failure to pay back the funds to the TFSA (as there are with the RRSP), and withdrawals automatically create new TFSA contribution room, so our vote would be to accumulate money in the TFSA savings vehicle for the purposes of saving for a home instead of tapping into the RRSP. Reason 3 – Later-Life Students: TFSA or LLP? Going back for a second degree? The source to tap for your education investment should now be revisited as well, for similar reasons. Saving within the TFSA allows you to accumulate funds on a tax-deferred basis and then withdraw them without penalty or a requirement to repay the funds. This is not so under the Lifelong Learning Plan, which allows for a tax-free withdrawal from the RRSP but requires an annual repayment schedule. If you don’t repay on time under this plan, the amount is included in income and taxed. That tax penalty makes the TFSA a more attractive withdrawal vehicle for later-life students. Better to leave the funds in the RRSP for tax-deferred retirement savings. Reason 4 – Education Savings for Minors: TFSA or RESP? Despite giving up Canada Education Savings Plan Grants and Bonds, the TFSA may appear to be a better savings vehicle for education purposes than the RESP, especially if you start when the child is very young. The latter could eventually attract a significant tax penalty on withdrawal if intended recipients do not end up going to school. Do the projection math to better understand how to manage this risk. Reason 5 – Bolster Tax-Assisted Pension Contribution Limitations: Those who have contributed the maximum to an RRSP—18% of last year’s earned income to this year’s specific dollar maximum—and want to do more to supplement their savings on a tax-assisted basis, can now do so using an enhanced $10,000 TSFA contribution maximum. This is particularly important for those who don’t have an employer-sponsored pension plan or are self-employed. Reason 6 – Supplementing Executive Pension Funding: Contributors to employer pension plans are often precluded from making RRSP contributions because of their pension adjustment amount. The TFSA now gives these people the opportunity to tap into another tax-preferred savings opportunity. This is important for executives or business owners who earn more than the annual RRSP dollar maximum (this year that’s $24,930; arrived at when earned income reaches $138,500. The TFSA provides an opportunity to shore that retirement savings tax assistance with an additional $10,000 in 2015. Use these opportunities in conjunction with planning for funding of top-hat plans like Individual Pension Plans or Retirement Compensation Arrangements. Knowledge Bureau Faculty Member Larry Frostiak, FCA will discuss these opportunities at the Distinguished Advisor Workshop October 27 to Nov 2. Especially in a low interest rate environment where it is difficult to beat inflation and tax erosion without incurring market risk volatility, any rollback of the TFSA contribution limit to $5500 from the current $10,000 would affect seniors, as well as young adults trying to save for their futures, too. Despite political controversy, the reality is that the TFSA has gained broad-based acceptance by 40% or 11 million average Canadians. More than 80% of all TFSA holders have incomes of less than $80,000, according to the April 21, federal budget documents. These are hardly the wealthy few. Reason 1 – Family Income Splitting: There is no attribution rule attached to the TFSA because resulting income is tax exempt. So this is a great opportunity for parents and grandparents to transfer $10,000 each year to each adult child in the family—for the rest of their lives. Recipients can take the money out, tax-free, for whatever purpose they wish and create new TFSA contribution room in the process. That is, they can take withdrawals and, once they have accumulated new savings, can put those amounts back in future years to grow. Reason 2 – New Tax-Sheltering Opportunities for RRSP Age-Ineligible Taxpayers: The RRSP tax shelter can continue for those who reach age 71 and have to convert their RRSP to a RRIF or annuity. Even if they don’t need the money, they are forced to take in withdrawals. Amounts not needed for their living expenses can be reinvested into a TFSA, allowing those tax-paid funds to grow again—and faster—in a tax-sheltered account, as opposed to a non-registered account. Reason 3 – Benefits for Single Seniors: RRSP Melt-Down Strategy Enhancements. It has always made some sense to melt down RRSPs, converting to a RRIF or annuity and taking withdrawals, to “top income up to bracket” in circumstances where taxes will be higher at death than during life. We generally use that strategy for singles or widow(er)s for example. Now those surplus funds can be deposited into a TFSA so that retirees can continue to build wealth on a tax-free basis and keep legacies intact. Reason 4 – Avoid High-Income Tax Brackets and Surtaxes: Savings within a TFSA are also a great way to reduce ongoing income tax burdens and taxes payable on death of a surviving single taxpayer. During life, untaxed RRSP accumulations do not qualify for income splitting in the hands of the surviving spouse. As a result, withdrawals can quickly be taxed in higher-income tax brackets now popular with provincial governments. Withdrawing some of these tax-sheltered accumulations before death (at lower tax brackets) and reinvesting in a TFSA can help to limit high tax obligations for the surviving spouse and ultimately for family heirs. Reason 5 – Estate Planning Considerations: Note that the TFSA loses its tax-exempt status after the death of the plan holder, meaning the investment income earned after death will become taxable. However, a rollover opportunity is possible when the spouse or common-law partner becomes the successor account holder. This rollover will not be affected by the spouse’s contribution room, and will not, in turn, reduce their existing room either. In the case of a taxpayer dying without a spouse, the plan assets should be transferred to another appropriate savings vehicle. Best opportunity? Beneficiaries receive the funds and contribute to their own TFSA. Estate planning is one of the big reasons that putting more into the CPP is not always a good idea. Aside from the fact that it’s contributory – meaning it will eat up some of the precious funds that could go into the TFSA, and generates a taxable pension instead – the survivorship benefits are not as good as the TFSA offers. The CPP death benefit has been stuck at an un-indexed amount of $2500 for years and if both spouses qualify for a maximum retirement benefit, the surviving spouse will receive no additional CPP retirement benefits stemming from the deceased’s contributions. Next time, we’ll reprint Reasons 6 to 10. Certainly the opportunity now, is to take advantage of the immediate increase in the TFSA maximum contribution limit to $10,000 in 2015 in case the political winds change.